The richest man in the world, Jeff Bezos, who is the founder of Amazon, made a fortune of 12 billion after the publication of his company's financial report. According to the publication Fortune (translation - korrespondent.net), he surpassed all expectations of Wall Street analysts. The publication reports that the company's shares rose by 6.3 percent - that is, to $ 1,614 per security. In general, the state of the businessman was estimated by Bloomberg at 134 billion dollars. According to the report, according to the results of the first quarter of this year, the profit of Bezos increased 2.25-fold year-on-year to 1.62 billion. Earlier it was reported that Amazon's profit had more than doubled. This is reported in the company's financial report. The founder of the company SpaceX and Tesla Ilon Mask reported in his Twitter that he is working on creating a dragon-cyborg. He believes that the market for manufacturing dragon-cyborgs is not yet occupied, and therefore now is the time to take advantage of this. "Craze" The mask of dragons-cyborgs began with his tweet that he listened to the tracks of Go Flex and Psycho artist Post Malone from the playlist of the Canadian singer Grimes. The singer answered him, saying: "I'm glad that you are finally listening to cyberpunk." Mask noted that it sounds great if you ride on a dragon-cyborg. Unexpectedly, the idea of Ilon to make a dragon-cyborg was answered by the official account of the series "The Game of Thrones", writing: "Bend your knees in front of the Targarienov's house, Ilon." To this Mask said that "do not force him to use space lasers." According to journalists Inverse, it is a space cargo rocket Dragon, which can be redesigned into capsular and endowed with artificial intelligence with the interface of the human brain from the startup Mask Neuralink. Singapore became the world center of entrepreneurship, ahead of the Silicon Valley. What is it that attracts young businessmen so much? Sumit Agarwal, a professor at the Business School of the National University of Singapore, together with colleagues from the Hong Kong Baptist University, conducted a study of the Singapore entrepreneurial community and tried to answer this question. Research published by the magazine Forbes. Agarwal and his colleagues concluded that the situation in the country changed after the adoption in 2001 of the program "home office", which allowed potential entrepreneurs to create and manage certain types of business from home. According to the research, the program had a positive impact on entrepreneurship: the number of businesses within this reform increased by 23%. Basically it was a small business. The main advantage is that entrepreneurs no longer need to spend money on renting office space and moving. In other words, this project allows people with limited means to make the first steps in business. Indeed, according to the research, the program was most useful for people with low incomes. Not all the benefits of the new "home office" program are related to finance. Work remotely gives entrepreneurs more freedom and flexibility. They can build business and do other things. In addition, thanks to this project, entrepreneurs had more chances to hide their failure or failure. In East Asia it is very important that others think about you. Therefore, fear of failure and subsequent shame becomes a serious barrier to innovation and business. There is also a question: did this reform improve the quality of entrepreneurship or just attracted mediocre businessmen? The Government of Singapore believes that it is necessary to encourage start-ups, as small businesses revive the economy and create new jobs. Nevertheless, there is a popular opinion that typical start-ups are not innovative, create a small number of jobs and bring in small profits. Agarval found that the likelihood of companies leaving the market falling under the "home office" program is the same as that of companies outside this program. 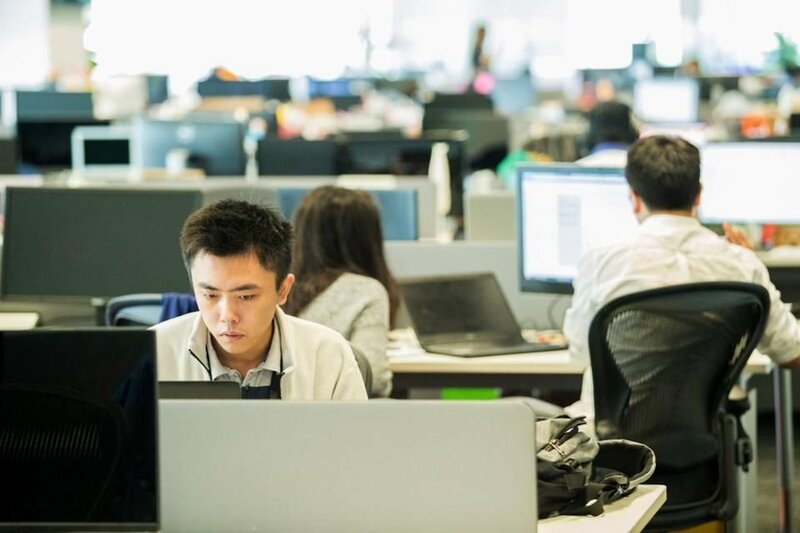 In addition, such enterprises demonstrate a higher level of survival in the long term and select industries with higher productivity and less risk. The study also showed that the program encourages entrepreneurs to open other, larger companies. This indicates that a healthy and sustainable business ecosystem is developing in the country. Ultimately, the researchers analyzed the impact of this scheme on the economy as a whole. To do this, they studied the impact on housing prices, as the program is aimed at relocating residential property to start a new business. It turned out that this scheme positively affects the economy, raising prices to 6.5%, at least in the short term. In general, it seems that a policy that stimulates the flexibility of the working schedule, promotes entrepreneurship and nurtures a healthy business ecosystem. Perhaps other countries should take the example from Singapore?